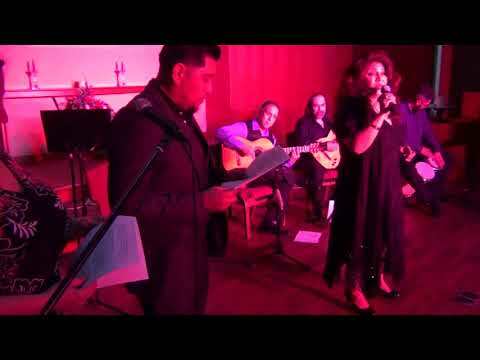 Val Ramos (composer) & Tere Luna (vocalist): "Sin tu amor muere mi alma"
Romantic Latino ballad (BOLERO) duo featuring Val Ramos (Guitarist) and Tere Luna (Singer). Available for private social events, corporate parties, fundraisers, and cultural events. If you like Armando Manzanero, Jose Jose, Trio Los Panchos, etc., you definitely want to book us! We perform a variety of traditional and more modern bolero standards as well as some Mexican and Puerto Rican songs, including rancheras, rumba popular, etc. Also perform some "Flamenco pop" rumbas. We can include a percussionist for an additional charge. Great entertainment for occasions that call for romantic music! When booking this outstanding Bolero and popular song duo, you can expect the highest professional standards of musicianship and presence! You can also choose to book the trio (includes a percussionist or second guitarist) or the quartet (singer, two guitars, and percussion). With a repertoire of over 40 bolero standards as well as 15-20 Mexican and Flamenco pop tunes, the duo can provide a colorful, romantic, and varied experience for you and your guests! 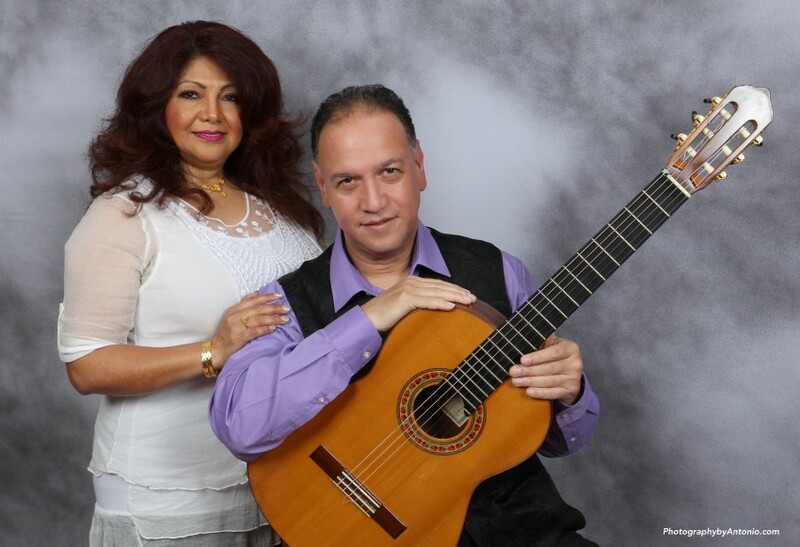 Val Ramos and Tere Luna have been performing in different musical genres, including Flamenco, bolero, and Mexican music and song, for over 30 years, and professionally for at least 25 years. They combine to bring passion, originality, and romantic flair to an excellent repertoire of traditional and more modern bolero standards spanning two generations. 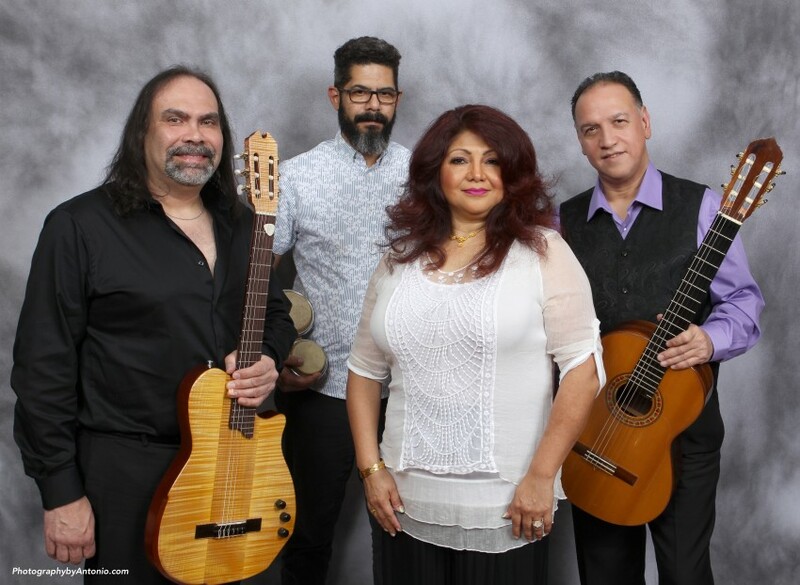 Val is also widely recognized as a Flamenco guitarist, with over 30 years of professional experience as a concert performer, recording artist, and teacher. Tere has performed bolero and Mexican song at a professional level for at least 25 years. They have performed together for the past seven years at private parties and social events, weddings, anniversary celebrations, corporate events, and nightclub showcases. The booking fee includes us providing our own professional sound equipment. We perform a single set of one hour or two sets of one hour with a 15-minute intermission. We welcome requests if these are in our repertoire. We also perform ballads in Spanish (i.e. original composition "Sin tu amor" which we attached and sent to you and "Que bonito"). Influences include Armando Manzanero, Trio Los Panchos, Trio los Ases, Jose Jose, Jose Feliciano, Rafael Hernandez, etc. We provide our own sound equipment.